China’s three-warfares concept underscores the CCP’s combative mindset and continuous strife. One major Asian navy was conspicuously absent from this month’s festivities in Sydney: the Taiwan Navy. Did Taipei slight Canberra? Should we fault President Ma Ying-jeou for pique, or apathy, or thoughtlessless? Nope, and nope. You’ve heard it all before. 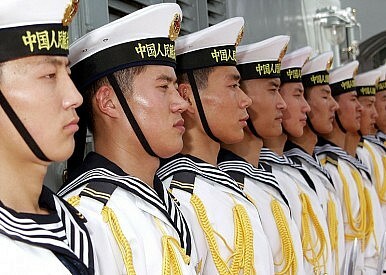 Beijing’s wrath would have been fearful to behold had a Taiwanese man-of-war made port for the fleet review. Navies are services sovereign states use to protect their interests. Had Taiwan been allowed to take part in the maritime congress, it would have appeared as though participating governments were affording the island diplomatic recognition. And that, of course, would never do. Chinese officials go to absurd lengths to maintain a consistent posture toward the island. We even had a furor in the hinterlands of northeast Georgia a few years back. When preparing for a conference of nonproliferation NGOs, an intern dutifully made a nameplate for a Taiwanese professor indicating that he was from, well, Taiwan. Mayhem ensued until the offending nameplate was removed and replaced with one indicating that our colleague hailed from Chinese Taipei. Whatever that is. Naval Diplomat fave Ralph Waldo Emerson once described “a foolish consistency” as “the hobgoblin of little minds,” beloved of “little statesmen and philosophers and divines.” One wonders what the transcendentalist thinker would make of the Chinese Communist leadership were he alive today. On the one hand, being pedantic about trivia seems like a realm of little statesmen. On the other, who’s to argue with success? Foreign governments defer to Beijing’s demands to keep the peace. Its consistency may not be foolish at all. A term that pops us repeatedly in the text is the “three warfares,” namely legal, psychological, and media warfare. The Heritage Foundation’s Dean Cheng appears to have been the first to look into the concept in a serious way. I did some research on it a couple of years back. To oversimplify, Chinese officialdom — not just the diplomatic apparatus but also the PLA — has undertaken a concerted effort to bend opinion among various target audiences. International law and the media are two channels through which it influences these audiences, prosecuting psychological operations. In one sense, the three-warfares concept is innocuous. Any government worth its salt tries to project a favorable image abroad, swaying popular and elite opinion in its interests. That’s what public diplomacy is all about. But the notion of three warfares waged constantly, in peacetime, by all arms of the Chinese Communist regime, including a far-from-apolitical military, should give foreign observers pause. It bespeaks a combative temperament toward the wider world, and a single-minded zeal toward messaging. In all likelihood, ulterior motives are at work even in routine interactions with mainland interlocutors. That politics is continual strife is an idea rooted in traditional Chinese statecraft. Sun Tzu, for instance, codified the notion that astute generals and sovereigns arrange things in peacetime to win without taking up the sword. The bareknuckle approach also pervades communist doctrine. Mao Zedong proclaimed, with Clausewitz, that war is a violent political act. But unlike Clausewitz, Mao added that politics is war carried on without bloodshed. Conflict thus spans the war/peace divide, blurring it into nothingness. Emerson, the prophet of self-reliance, would deplore this all-consuming approach to peacetime diplomacy. But he would recognize it in an instant. Unlike al-Qaeda, ISIS seems to understand Mao Zedong's classic Phase III battlefield struggle. Clausewitz, Sun Tzu, or Mao Zedong? Exposing China’s ProvocationsThe Religious Origins of Western StrategyWhy China Can’t Rise QuietlyWho is Air Power’s Alfred Thayer Mahan?